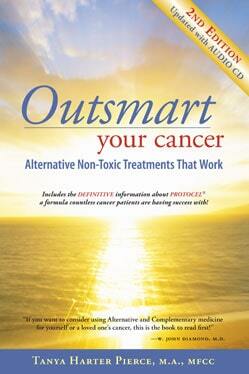 Author of OUTSMART YOUR CANCER: Alternative, Non-Toxic Treatments that Work. Most of us know of a family member or friend who got a clean scan following cancer treatment and was declared “all clear” by their oncologist. The doctor may have even said “Looks like we got it all!” But then, a few months later, the cancer was back. (Sort of like they got it all, but now it’s here again.) What REALLY happened was they never got it all in the first place. The important concept to understand is that a clear scan does NOT mean no cancer. It just means there are no groupings of cancer cells big enough for the unaided human eye to see on a scan. Remember, all cells of the body are microscopic in size and that includes cancer cells. I was told by a biochemist specializing in cancer that about 9 million cancer cells can fit on the head of a pin. (The old-fashioned type of sewing pin.) A tiny dot that size ¾ which could represent millions of cancer cells ¾ or even many tiny dots that size, could easily be missed when looking at a PET, MRI, or CT scan. Thus, the first clear scan after treatment should never be taken to mean the cancer is all gone. This is the roller-coaster of remission-recurrence-remission-recurrence . . . often until the patient dies. I refer to it as “deadly” because of how each round of toxic treatment not only kills some cancer, but it also weakens the patient’s vital organs and immune system. Thus, every time the cancer grows back again, the person is most likely in an even weaker state. It is a travesty that oncologists don’t take responsibility for the shortcomings of the treatment when this happens because the patient often ends up feeling that he or she has failed somehow when their cancer recurs. In reality, they did NOT fail. It was the type of treatment they were given that failed. Could it be different with an alternative cancer cure? Yes! And the reason is because alternative cancer treatments are NOT toxic, thus breaks in the treatment do not have to be inserted, and the patient does not have to stop the treatment as soon as they get an all-clear scan. Here, readers may be exasperated and want to say once more, “Yes, but don’t cancer treatments HAVE to be toxic? How else can the cancer be killed?” The answer is that cancer CAN be killed with non-toxic, smart approaches and the reason is because these types of alternative approaches target certain characteristics of cancer cells and also allow for continual use. “Continual use” is an extremely important concept and the main reason why non-toxic approaches are BETTER at bringing about long-term cures than toxic ones. Because alternative approaches are non-toxic and don’t harm healthy cells, a cancer patient can use them on a constant basis ¾ every day, 24 hours a day, 7 days a week without breaks in treatment ¾ for as many months or years as it takes to get rid of all the cancer and then for a while after scans show all clear, just to be on the safe side. A good example of how powerful the continual use of a non-toxic treatment can be comes from an Australian woman named Tricia. Tricia did not know she had cancer until she was suddenly diagnosed in 2006 with such a late stage of breast cancer that it had already spread to most of her bones. The cancer was estrogen receptor positive, and besides being in one breast, it was also heavily metastasized to the bones of her shoulders, ribs, pelvis, hips, legs, spine and even to her skull. Her doctors did not attempt to cure her because they knew that was hopeless. They simply went in surgically to put titanium rods into some of her bones so that she would not crumble. Tricia already knew about the liquid alternative called “Protocel,” so she decided to make that non-toxic formula her primary approach. To give Protocel time to get rid of her cancer, she also agreed in the beginning to 5 doses of radiation and 4 doses of chemo along with 5 months of the estrogen-blocking drug Tamoxifen. Tricia was also very aggressive in her use of Protocel and took it every 4 hours around the clock every single day, including overnight. Tricia’s recovery was laboriously slow but steady because, as the cancer came out of her bones, her bones had to heal. She could only lie in bed at first. Then she was able to use a wheel chair to get around. As she got better, she was able to walk with a walker. Finally, she could use a cane until she no longer even needed the cane and was truly cancer-free. It took over two years to achieve completely clear scans, but she continued to take the Protocel for a long time after she was in remission to make sure that she got every last microscopic cancer cell. Happily, Tricia enjoyed her new chance at life and loved interacting with her new granddaughter. She helped many other cancer patients in Australia to recover and had many years of living life to the fullest. Unfortunately, she died suddenly years later due to a blood infection from an infected tooth. All of us who knew this loving, generous person were devastated. Her daughter emailed me to inform me that an autopsy had been performed and Tricia had still been cancer-free when she died, which was at least some consolation. Tricia’s recovery was truly phenomenal, given how late stage her cancer was, and not everyone at this late stage of disease will have complete success. 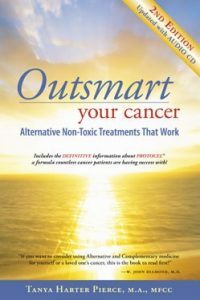 But the truth is that there are many case stories presented in my book of people with metastasized cancer who were told by their oncologist that there was no cure for them, who then went on to cure themselves through the use of a non-toxic approach such as Protocel, Cesium High pH Therapy, Laetrile, Flaxseed Oil and Cottage Cheese, Dr. Burzynski’s Antineoplastons, or one of the other “alternative” cancer cures out there. I eventually lost count of how many thriving people had said their doctor told them to get their affairs in order. (2) Alternative approaches are always non-toxic, which makes it possible to avoid the deadly roller-coaster of “remission, recurrence, remission, recurrence . . . ” until one dies.